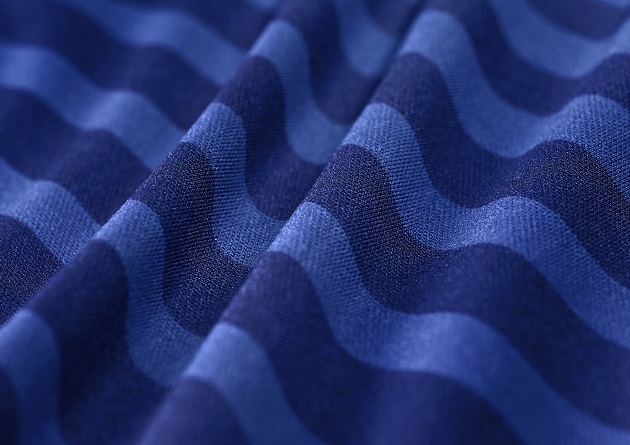 There may still be six games to go in Chelsea’s 2013-14 Barclays Premier League season (and at least one more Champions League match), but adidas has already dropped the curtain on next season’s Chelsea Home kit, with a retail date of April 30th. 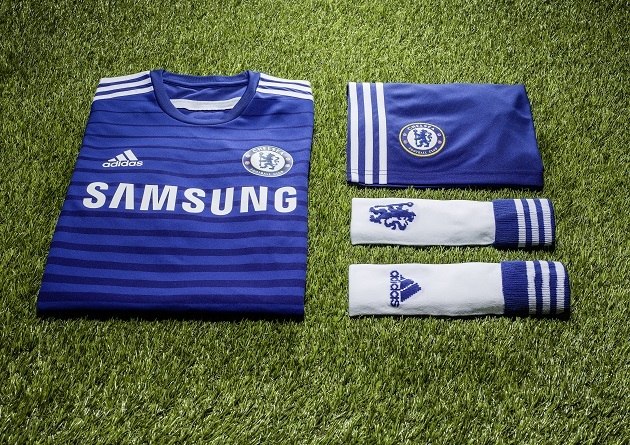 Of course Chelsea’s home jersey must be blue, and that is what you get here. 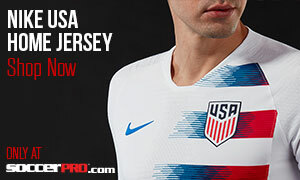 However, instead of the subtle vertical lines running down this season’s home shirt, next season’s version will sport horizontal stripes of a darker, navy blue. They start thin up top underneath the classic three white stripes on the shoulders, and get thicker toward the bottom of the jersey. Also different this time around is a blue crew neck, as opposed to the white and blue v-neck from the current jersey. 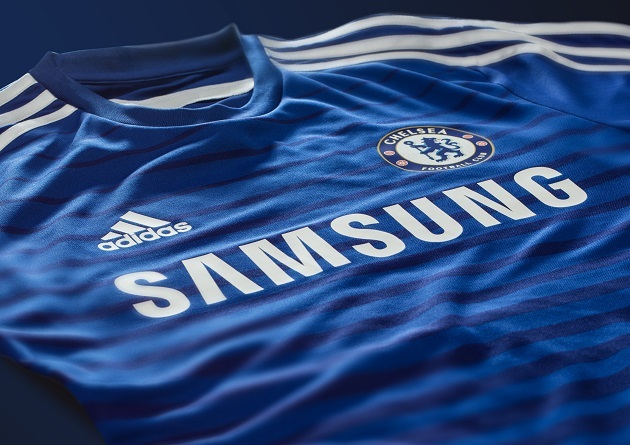 Samsung has been Chelsea’s sponsor since 2005 and have a deal in place until next year, so it’s possible this is the last “Samsung” Chelsea jersey. As for the club crest, it remains the same and looks fantastic on this new top. But enough about the actual jersey. Now, you may remember last year when adidas released the home jersey with their “It’s blue, what else matters?” campaign. The teaser video was straight out of a Stanley Kubrick film – with its long shots of blue paint splashed in slo-mo on a shirtless John Terry and Juan Mata. 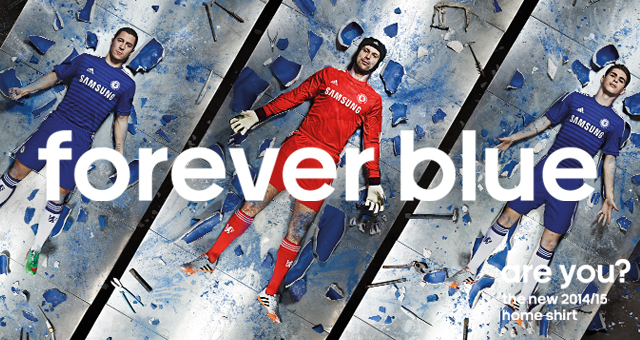 A year later, adidas have put together a similarly strange (although more football-relevant) video to show off the new jersey, with the tagline “Forever Blue”. Set to the track “Everything is Violence” by Lorn, it features Eden Hazard, Petr Cech, Oscar, Fernando Torres, and Gary Cahill recreating moments that Chelsea fans will remember fondly such as Cech’s penalty save in the 2012 Champions League Final and Torres’ Europa League Final goal vs. Benfica, among others. Men in white suits cast them in their infamous poses to create blue statues. Oh, and does that narrator sound familiar? That’s because it’s Chelsea manager Jose Mourinho, only one of the most recognizable voices in all of European football, due to his never-ending stream of controversial sound bites eaten up by the European media. Used here, the sound of his voice lends a kind of epic gravitas to the video. As of today, Chelsea FC sit two points off first place Liverpool, although I would consider Manchester City the current favorite because of their two games in hand. Over the next few weeks, Mourinho and Co. will be trying to dig themselves out of a 3-1 first leg hole against PSG in the Champions League quarterfinals and work to reverse the recent tide of bad Premier League losses. 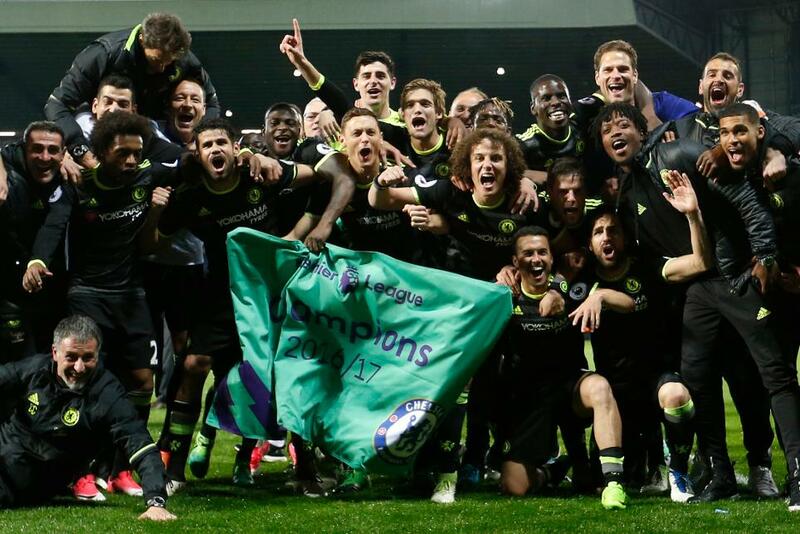 Poor recent play makes their EPL and Champions League objectives much tougher to accomplish, but for now, Chelsea fans can gaze upon next season’s home jersey and start dreaming.